”If I loved you, time and again I would try to say all I’d want you to know. If I loved you, words wouldn’t come in an easy way. Round in circles I’d go…” You’d almost think Mario is musing to himself as he sings these words. He seems to be in a reflective mood and not quite cognizant of their meaning. Carefully, he continues with his thought process: “Longing to tell you, but afraid and shy, I’d let my golden chances pass me by. Soon you’d leave me…off you would go in the mist of day, never, never, to know…How I loved you …. if I loved you.” Those are all the lyrics to this song. Why, then is it so memorable? 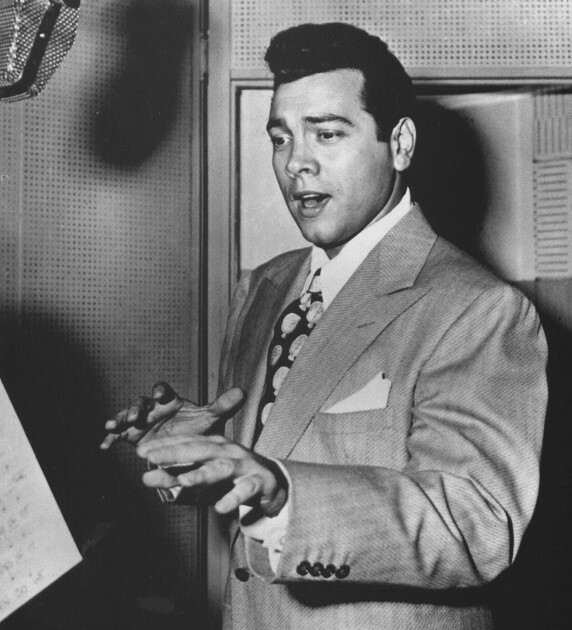 One of Mario’s recorded love songs most often chosen to be on a ‘favorite’ list, it is propelled into our hearts by Mario’s exquisite attention to musical expression. Mario took this sweet lovely song by Rodgers & Hammerstein and made it into an unforgettable masterpiece. Yes, I think that is the appropriate word here – masterpiece. He slowly crescendos on the first four words and covers them to perfection. You almost want him to stay there while you bask in the luxury of the sound, but he just as slowly descends as he speculates on the possible reality of love for another person –“if I loved you”. These relatively short phrases are sung in such a way that we imagine they are much longer. It is in the reprise beginning with an increased awakening of ardor, “ Longing to tell you, but afraid and shy,” that he seems to take on a certain resolve, “I’d let my golden chances pass me by, and without breathing carries the word, “soon” along with it. “Soon you’d leave me. Off you would go in the mist of day.” Here is the key then that finally convinces him he must not let his lover go without professing his love. He takes a quick breath after “Never, never” and goes into a full blown vocalization of his passion, “to know”, holding it with the most moving vibrato “how I” (finally breathing) “ loved you….if I loved you” . You are almost weak in the knees as you feel he finally realizes what a devastating thing it would be to allow the subject of his love to slip away unaware of his genuine feelings. There are no more ‘ifs’ about it – it’s undeniably true! !